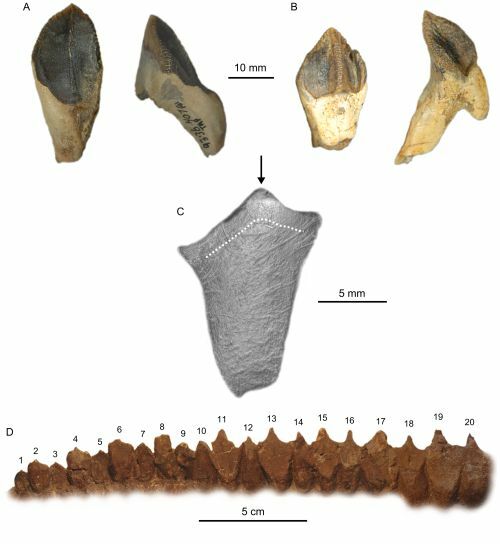 In an article recently published in PLOS ONE, University of Calgary researcher, and friend of Dinosaur Island, Dr. Jordan Mallon, explains how dinosaur teeth give us insight into the varied diets of dinosaurs and how they co-exited for hundreds of millions of year in a complex ecosystem (the very theme of Dinosaur Island). Link to write-up about the article here. Link to the PLOS ONE article here. Dinosaur Island already supports making T. rex pack hunters. New research recently published in PLOS (“A ‘Terror of Tyrannosaurs’: The First Trackways of Tyrannosaurids and Evidence of Gregariousness and Pathology in Tyrannosauridae” link here) indicates that a ‘cousin’ of the T. rex hunted in packs. Dinosaur Island already supports this behavior by allowing the user to specify that the T. rex is a ‘Meat Hunter’ and in a herd (which can be either matriarchal or patriarchal).